Crude oil futures plunged sharply on Wednesday as U.S. traders grappled with settlements lower than the $50 a barrel benchmark and worry spread about the remaining glut of global supplies, according to Bloomberg MarketWatch. 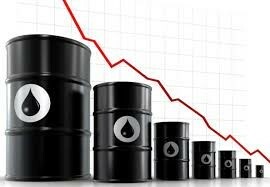 July West Texas Intermediate crude dropped $1.34, or 2.7%, to settle at $48.32 a barrel on the New York Mercantile Exchange, marking its lowest finish since May 12. On it expiration day, July Brent crude on London’s ICE Futures exchange slid $1.53, or 3%, to end trading at $50.31 a barrel. August Brent crude, the global benchmark, settled at $50.76 a barrel, down $1.48, or 2.8%. 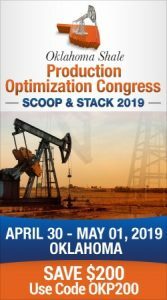 “It has been a bit of a wild ride in the oil market over the last two weeks as a speculative rally became overextended into the OPEC meeting and a ‘sell the news’ reaction followed the as expected announcement of a nine-month extension of the current quota policy,” said Tyler Richey, co-editor of the Sevens Report. Analysts polled by S&P Global Platts expect the Energy Information Administration on Thursday to report a decline of 3.2 million barrels in crude oil stockpiles for the week ending May 26—which would mark an eighth weekly decline in a row. The data is delayed by a day due to the Memorial Day holiday. The American Petroleum Institute will issue its domestic petroleum supply data late Wednesday. Market watchers now say oil prices need to stay weaker – under $50 a barrel — for a longer time to effectively impede domestic shale companies from investing further in their holdings. Meanwhile, July natural gas settled at $3.071 per million British thermal units, down 7.4 cents, or 2.4% on the New York Mercantile Exchange.